Every donation helps, and even a small contribution will help us achieve our ultimate goal. Thank you so much for your support. We will send you updates about our new research once the lab has been funded and a thank you postal print. This will be a postcard-sized version of the official artwork for this project. Invitation to attend a live streamed seminar given by our researchers on new research and how it impacts forensic investigations. We will share the highs and the lows of the research and share the findings. Invited to a private dinner with forensic scientists at UCL with a plus one. If you would like to pledge anything over £10k please email ucl@crowd.science, we would be delighted to set up a call with you and answer any questions you have about the project. Forensic Science in the UK is drastically underfunded. As a result, many criminal cases could be using incorrectly interpreted evidence to reach a verdict. The implications are enormous and many Britons are likely to have been prosecuted in cases where evidence has been misinterpreted. The UCL Centre for the Forensic Sciences is seeking to crowdfund £1m to create a forensic evidence research laboratory, to change this. 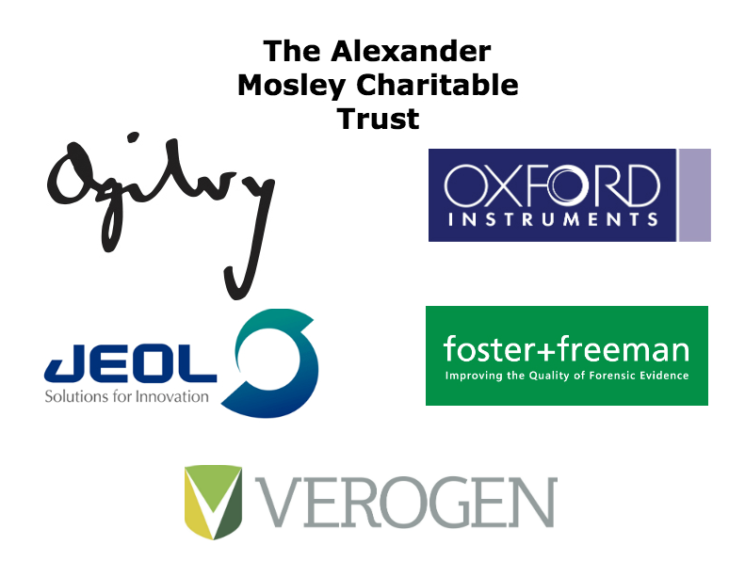 The Alexander Mosley Charitable Trust have pledged to match-fund all donations, both in kind and financial, up to a maximum value of £500k on a pound for pound basis. This page will be updated every Friday for the duration of the campaign to include the match-funding. Oxford Instruments is proud of our collaboration with the UCL Centre for the Forensic Sciences and will be supporting this excellent initiative by providing an AZtecGSR system with an X-MaxN detector for both GSR and other forensic analyses on a scanning electron microscope. This equipment represents a £50,000 contribution to the project and demonstrates Oxford Instruments commitment to the forensic sciences and our desire to partner with the research community in the development of cutting edge science. We are grateful for huge support from Ogilvy who have been working with us on this project pro bono and created the advert below. We are also grateful to a wide range of partners who have provided us with pro bono advertising spaces to help raise the visibility of this important issue. JEOL UK are delighted to be partnering with the UCL Centre for the Forensic Sciences on this exciting project by providing SEM and GSR analysis training for the next three years. This represents a £11,000 contribution to the project. JEOL UK is committed to collaborating with the research community to pioneer innovation in forensic science. Foster & Freeman are delighted to be partnering with the UCL Centre for the Forensic Sciences in their vision to create a dedicated lab facility that will address the really critical issue of the interpretation of forensic evidence. foster + freeman has become one of the foremost forensic science equipment suppliers in the world, exporting market leading, and in many cases unique products from the United Kingdom to more than 155 countries worldwide. We will be providing a Crime-lite forensic light source kit for the lab. This represents a £16,800 contribution to the project. We hope the UCL Forensic Evidence Interpretation Facility benefits from these light sources and they prove an invaluable research and teaching aid over the next few years. Verogen, the first ever company dedicated to Forensic Genomics, is proud to be partnering with the UCL Centre for the Forensic Sciences and will be supporting this innovative crowd funding project by providing lectures and workshops to enable students and researchers to experience state of the art Next Generation Sequencing DNA analysis for forensic applications. Backed by Illumina’s proven technologies for forensic applications, Verogen is committed to forensic science research and the vision of this new research facility at UCL to provide cutting edge science to assist in the interpretation of forensic evidence. In 2015 the FBI admitted that in 95% of cases where forensic hair analysis was used, the evidence was misinterpreted. This throws into question the validity of every other type of forensic evidence. The impact on criminal cases is alarming. The only way to stop forensic evidence being misinterpreted like this is to carry out research that enables us to interpret what evidence means when we find it. However, forensic science is drastically under funded and so this research is not happening. Without the research, forensic evidence will continue to be misinterpreted resulting in miscarriages of justice. This is why the UCL Centre for the Forensic Sciences are crowdfunding a dedicated research lab to undertake the research that will answer these questions. There are no other sources of funding. Despite what we see in shows like CSI and Silent Witness, the evidence is not enough. The idea that forensic science is always irrefutable must die. We need your help to raise £1m to build a lab that will enable this research. We have a dedicated and passionate team of researchers and work with a wide range of key industry partners (such as the police and legal practitioners) to make sure that the research addresses real-world forensic science problems. Enable us to carry out cutting edge and much needed research that will stop evidence being misinterpreted. We will be a resource for lawyers and the police to access the answers that they need, when they need them. Address real problems for real people in real cases. If you help us, you’ll join a community of backers who want to see forensic evidence interpreted correctly, and miscarriages of justice avoided. We are excited about being able to share our new research findings with you as they happen. There are a number of ways you can back us including the opportunity to attend a seminar led by our researchers on forensic science, to take a tour of the new lab, or have a special limited edition artwork print created from our research. Forensic evidence plays a vital role in criminal cases. TV shows like CSI and Silent Witness have shown us that science solves crimes and that evidence speaks, but they show us a world of forensic science that is black and white. The technological advances in the last 10 years have been incredible; we are now able to identify and characterise ever-smaller traces of evidence. However, once this evidence has been found and analysed there is another step needed that is vital to solve the crime: We need to be able to interpret what the evidence means in the context of the crime being investigated. This is a vital, and worrying gap in our knowledge. To interpret what the presence of gunshot residue means we need an evidence base that has been created from experimental studies that tests how residue behaves in different scenarios. When and how does it transfer? How long does it last on your hands, on your clothing, in your pockets? Will it be preserved if you wash your jacket in a washing machine? And it doesn’t end there – that research needs to get into the hands of the investigators and lawyers to make sure that the forensic evidence is correctly understood in court. And it’s not just gunshot residue or hair – all forms of forensic evidence, even DNA and fingerprints, need this vital evidence base so it can be interpreted correctly. This is the research we will do in our crowdfunded lab. This is an image of gun shot residue (GSR). To interpret what the presence of gunshot residue means we need an evidence base that has been created from experimental studies that tests how residue behaves in different scenarios. Rachel Manning was murdered in Milton Keynes in December 2000. Soon afterwards, Barri White and Keith Hyatt were arrested with Mr. White being convicted for murder and Mr. Hyatt for perverting the course of justice. In 2003 BBC’s Rough Justice programme began to investigate the convictions, focusing on the forensic evidence that was used in the trial. The key evidence that the verdict depended on was metallic particles found both on the seat of Mr. Hyatt’s van and on Rachel Manning’s skirt. The prosecution said that not only were the particles very rare, but that they would only persist on clothing for a very short time. This was critical to the conviction because it indicated that the victim had to have been in the van a very short time before being left at the location where her body was later found. The “rare” particles were not actually rare at all. 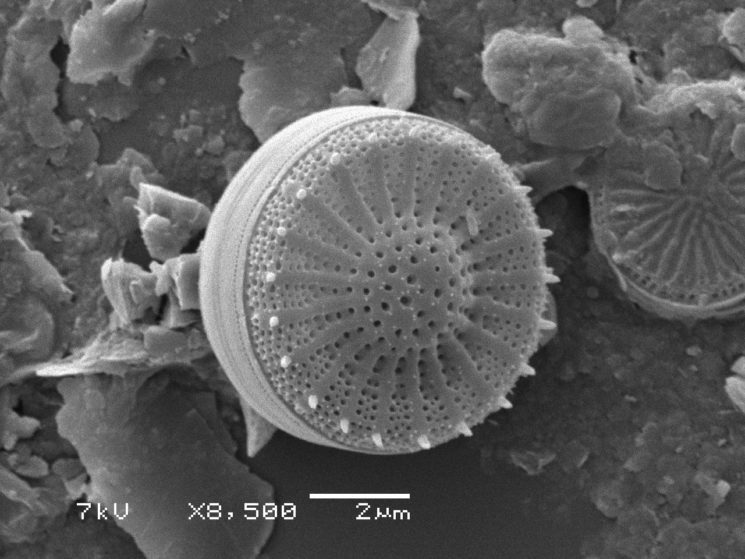 4000 of these particle are produced every time a common disposable cigarette lighter is used. The particles can persist on clothing fabric much longer than the prosecution expert had suggested. It showed that the two major assumptions made by the prosecution had no evidence base and that the particles could have been transferred to the clothing from a wide range of different sources, and long before the murder. At the appeal in 2007, the convictions were quashed. Mr Hyatt had already served three years of his five year sentence. Mr White was released on bail pending a retrial having already spent six years in prison. Finally, in November 2008, at the retrial he was found not guilty, with the research into the forensic evidence undertaken by Ruth and the team considered to be pivotal. 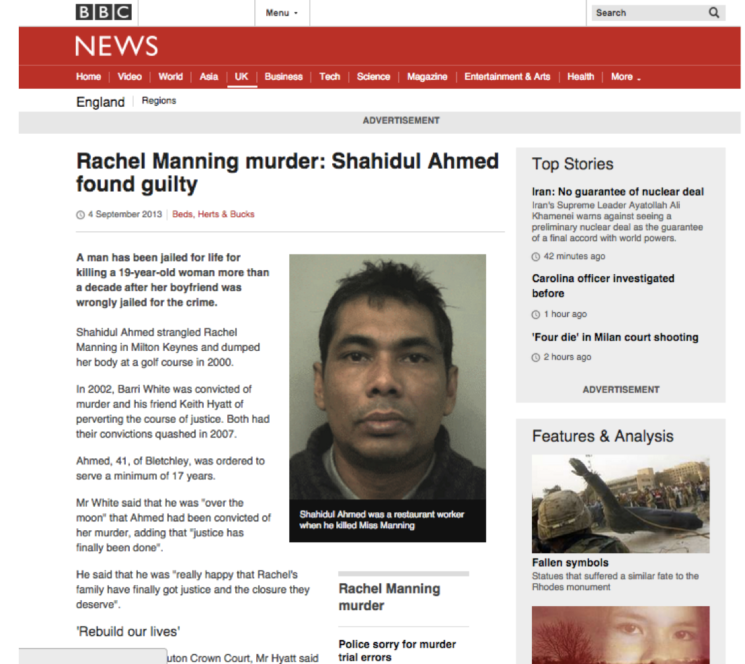 A new investigation was then started in 2009 resulting in another man that was found guilty of the murder, a full 12 years after Rachel Manning’s murder. Our crowdfunded forensic evidence research lab will do the research that can stop this kind of miscarriage of justice happening again. The sentences of both Barri White and Keith Hyatt were quashed at appeal. Research demonstrated that the forensic evidence critical to the case had been misinterpreted at the original trial. Research that can prevent miscarriages of justice like this is what the forensic evidence lab at UCL will do. What will happen in the lab? A forensic science research lab at UCL will enable our team do the research that is needed so that forensic evidence can be interpreted accurately and transparently. This will help ensure that when compelling forensic evidence is used in court, it’s not based on assumptions but from reconstructions based on robust evidence bases. The evidence will be interpreted correctly. – How far does evidence on your hands or clothing go? – How many transfers are possible to deposit enough trace for someone new to pick up? This will help us to know how likely it is that the trace evidence on your jacket or on your hands is from a crime scene or whether you have simply picked it up from a door handle or a shopping trolley. Run experimental studies that are tailored to real case work examples. We are linked to investigators and lawyers who have cases where forensic evidence is critical but we don’t know if the forensic evidence was interpreted correctly. We would be able to work with them to do the research that they need to work out if the forensic evidence has been interpreted correctly. Develop new capacity for carrying out trace evidence research with state of the art electron microscopy. Develop new semi-automated approaches to enable us to understand the transfer and persistence of trace evidence more quickly. The process at the moment is hampered by the lack of semi-automation. Run experiments to address how forensic experts make decisions by evaluating the role of experience, expertise and training, and identifying when decisions are susceptible to cognitive influences (like context), and therefore how we can mitigate them. The team at the UCL Centre for the Forensic Sciences want to find better solutions to solve crimes and keep the UK safe. 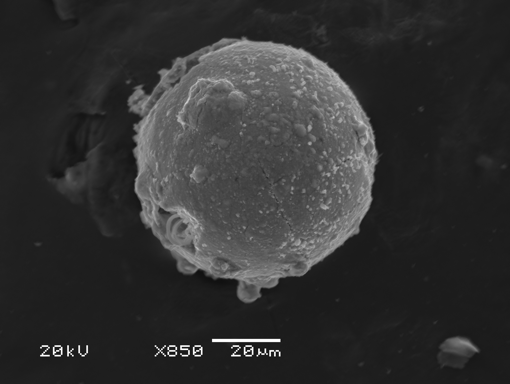 The team is headed up by Dr Ruth Morgan whose research looks at how we can use environmental evidence such as soil, dust and pollen in forensic reconstructions – what is the journey history of a car or did that spade dig that grave? Other team members are working on understanding evidence in different ways, such as interpreting how DNA transfers between people and different objects and how it persists over time, detecting the transfer of trace residues on pieces of evidence, and looking at cognitive bias and decision making processes in interpreting evidence. Dr Ruth Morgan (MA (Oxon), D.Phil) is Founder and Director of the UCL Centre for the Forensic Sciences and is leading this project to create a new forensic science research lab. She is a Reader in Crime and Forensic Sciences at the Department of Security and Crime Science at UCL. The Centre facilitates a network of UCL academics from a wide range of different disciplines and departments, to enable a strategic and multidisciplinary research programme in collaboration with external partners and forensic science stakeholders. Ruth is a leading academic in the forensic sciences and has published over 70 research articles on the subject. Her research is regularly presented at international conferences and in the media. Ruth serves on a number of national committees, and contributed to the 2015 Annual Report of the Government Chief Scientific Advisor on Forensic Science. Dr Georgina Meakin (MSc, PhD) is a Lecturer in Crime and Forensic Science and conducts and directs research into the transfer and persistence of DNA and other trace evidence. She is particularly interested in the indirect transfer of DNA and how this affects the evaluation of trace DNA in casework. She collaborates with DNA experts from across the world to progress and raise the profile of this important area of research. 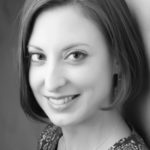 Georgina has practiced as a forensic scientist at The Forensic Institute in Glasgow, during which time, she was involved in over 100 cases throughout the UK and in New York, mostly centred around the interpretation and evaluation of DNA evidence. Georgina has provided written and oral evidence and has attended courts in all jurisdictions of the UK as an Expert Witness or a Consulting Expert. Georgina still consults in casework to ensure that her research addresses the critical issues faced in forensic science practice. Dr James French (MRes, PhD) is a Teaching Fellow at the UCL Department of Security and Crime Science. His research interests include trace physical evidence, evidence dynamics and the interpretation of forensic evidence, particularly the use of Bayesian Networks, a graphical representation of the significance and interaction of different forms of evidence in a case. 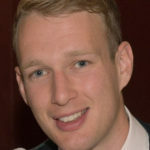 James’s work is particularly focused on gunshot residue (GSR) and his PhD research concerned secondary and tertiary transfers of GSR and the implications of these dynamics for the investigation of firearms offences. James incorporates his research into his teaching at UCL, he teaches on a range of programmes and enjoys developing new and existing collaborations with academia and industry to facilitate this. Sophie Park’s work focuses on how DNA can be transferred, and finding out if it is possible to work out who the last person to touch an object at a crime scene was. Michaela Regan’s work looks at how Gunshot Residue behaves – how does it transfer to people and how long does it stay on clothes? Nadine Smit is working on establishing how people all along the forensic science process make decisions, a vital and untapped area of research. Sherry Nakhaeizadeh is asking how much an investigator’s preconceptions affect their analysis, focusing on the cognitive issues in forensic anthropology. We really appreciate your support to help us create a world class forensic science research lab. We have created a number of mementos to thank you for your support. At the end of the campaign we’ll contact you to arrange delivery of your chosen momento. If you would like to support the lab with more than £10k please email ucl@crowd.science and we would be delighted to arrange a call with you and answer any questions you have about the project. If you would like to pledge anything over £10k please email ucl@crowd.science, we would be delighted to set up a call with you and answer any questions you have about the project. We’re also open to suggestions.